I'm been trying for a very long time to get started with triathlons but have not been able to find the motivation to keep up with a regular training program. In the past I've started a few training regimes but almost always slipped away from the programs after a few months. The main reason for this being that my swimming skills are really very poor and i find it very hard to drag myself to a pool and put in a good workout. I am very much a 'land' person and feel very awkward in the water, so I eventually end up giving up on my swimming training sessions and put in a long run instead. But after all the previous failed attempts of trying to swim well enough to compete in a triathlon I have decided to try again. I love running, and also really like cycling and I have to keep pushing myself in the swim department cause I really do have a passion for triathlons and I know when you have a strong passion for something, anything is possible. As I don't have the time these days to join a swim class, I spent some time and did some research and drafted this swimming program which I have started following already. 2 - 3 (The more the better as the key if to get 'comfortable and relaxed' in the water). Each session should be a minimum of half hour. To be able to freestyle swim 250m (10 Laps in 25m pool) after which I can take part in an Enticer Distance triathlon which is a 250m Swim followed by a 10km Cycle ride and 2.5km Run. Note: I am able to comfortably swim in breast stroke style so I use that for warm up and warm down, but as I get better with freestyle I will warm up/down in relaxed freestyle instead which is the ideal situation. For now I just do the "basic stomach facing" down kicking drill and put my head under water instead of keeping it above water. For now do only one of these skill drills per session, dont try to do each one at each session as it will be too much to focus on. But as I get comfortable I will try to do each one during each session. This is the main freestyle swim practice and I will aim to increase the laps by one after each week of training. e.g. 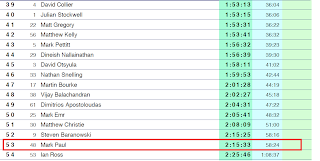 If i do 2 laps (50m) in the first week then the next week I will do 3 laps (75m) and so on. 1) I'm going to purchase some flippers as well and use them on my Skill Refresher sets so I can focus on technique. 2) Once i get better, i will cut down the time I rest between laps. 3) I really believe that the best way to improve in swimming (for me anyway) is put just put in as many hours as I can in the pool, and that's what I'm going to focus on. So the road (water :P) to my first Triathlon is going to be a long and hard one, but I'm certain the journey is going to be worth the destination.. the finish line of my first Triathlon. 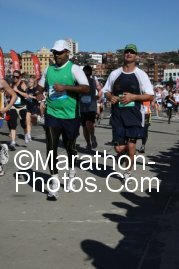 I completed my first Sydney City2Surf yesterday with a time of 1h 23m (83m). 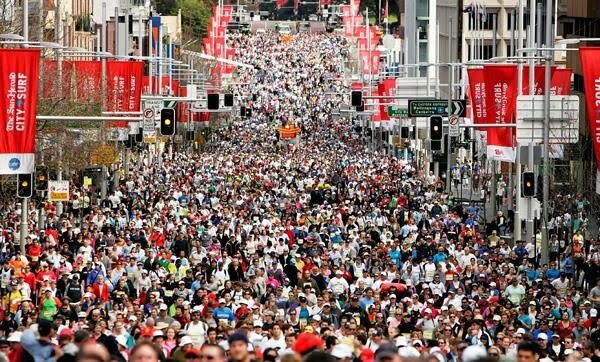 It was an amazing experience with 80,000 runners taking part in the “largest fun run in the world”. 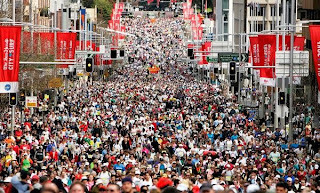 There were so many people at the start line and I had to line up for more than 40 mins with the Blue group to get going, after which the roads were jam packed with runners for at least the first 3 kms. Towards the end of the run at around the 12km mark, i realised that I had way too much energy left and wanted to start sprinting to the finish to try and improve my time, but clearly many other runners had the same idea and there was absolutely no room left on the road to dash through the crowds. I then jumped on the sidewalks and started running hard, this proved to be a costly mistake as I rolled my ankle pretty bad with around a 1km to go. 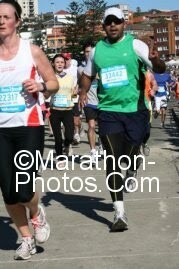 I was able to finish the run without any major pain but today my ankle is all stiff and swollen. With 3 weeks to go until Perth Marathon, my focus now is to get my ankle back to shape and put in at least one more week of heavy running. 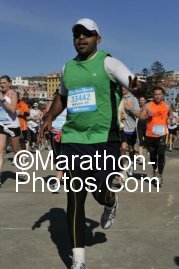 This was my first race for 2010 and it was good to be back, I did this more as a training run than a serious race but did end up running the 21km in a time of 2h 15m which is usually faster than my training runs so I was happy. 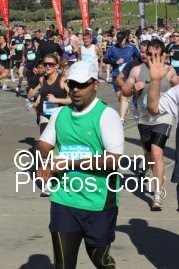 Not a very flattering picture, but no one really looks good after running for more than two hours. 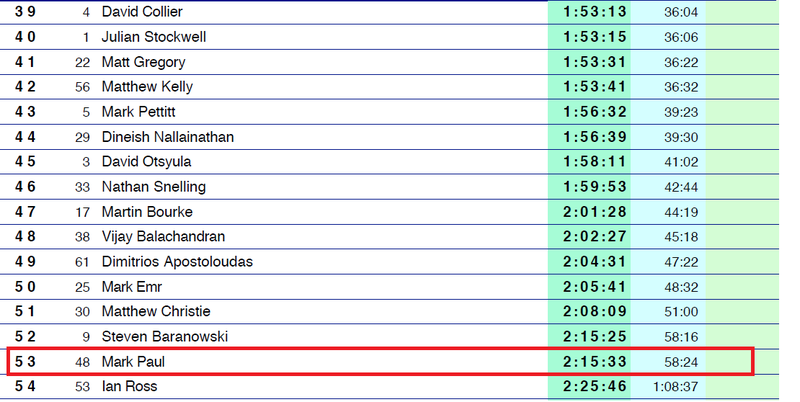 And I was second from last! These runners were fast.